A gorgeous new patchwork set using a mix of Graphic 45 print papers. 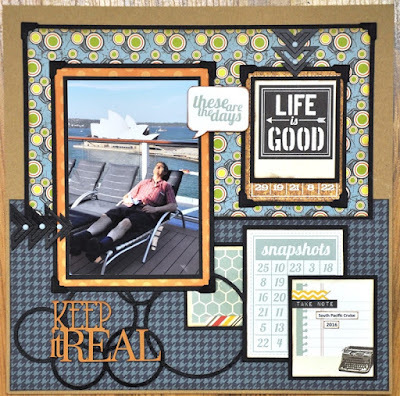 A new layout from Jane Featuring Graphic 45 papers from several collections including Tropical Travelogue, Down by the Sea & Come away with me. The print title reads "Adventures are the best way to learn". 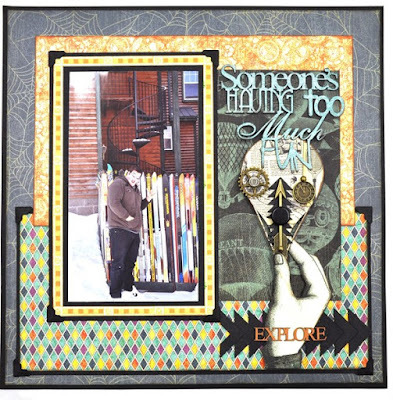 A new layout from Jane Featuring Graphic 45 papers from several collections including Worlds Fair, Olde Curiosity Shoppe & Happy Haunting. The print titles read "Imagine" & "Be yourself, everyone else is taken". 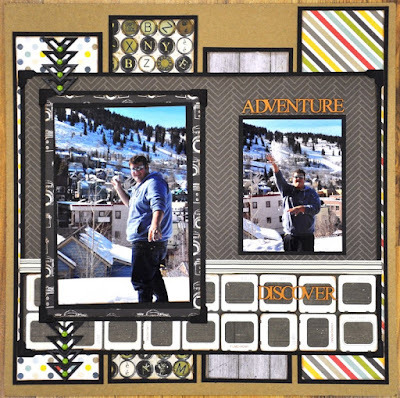 There is a chipboard title that says "Treasured memories"
A fun double male layout featuring a mix of papers. Lots of spaces for photos with a great mix of darker colors and contrasting bright prints. Some brads and chipboard add the finishing touches. 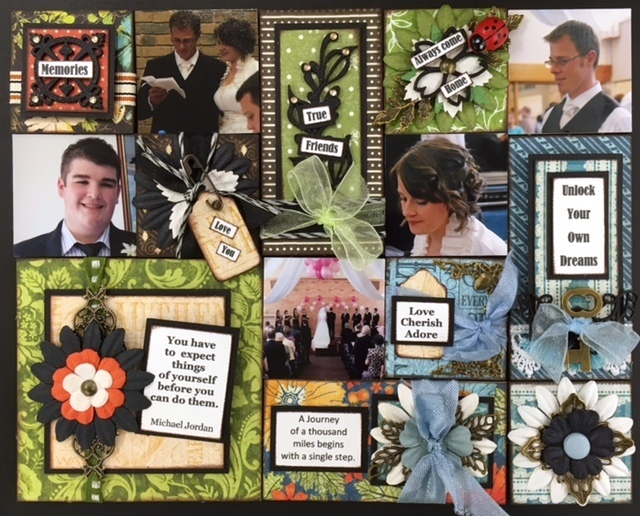 A fantastic double male layout featuring a mix of Graphic 45 papers and lots of little charms & chipboard embellishments. 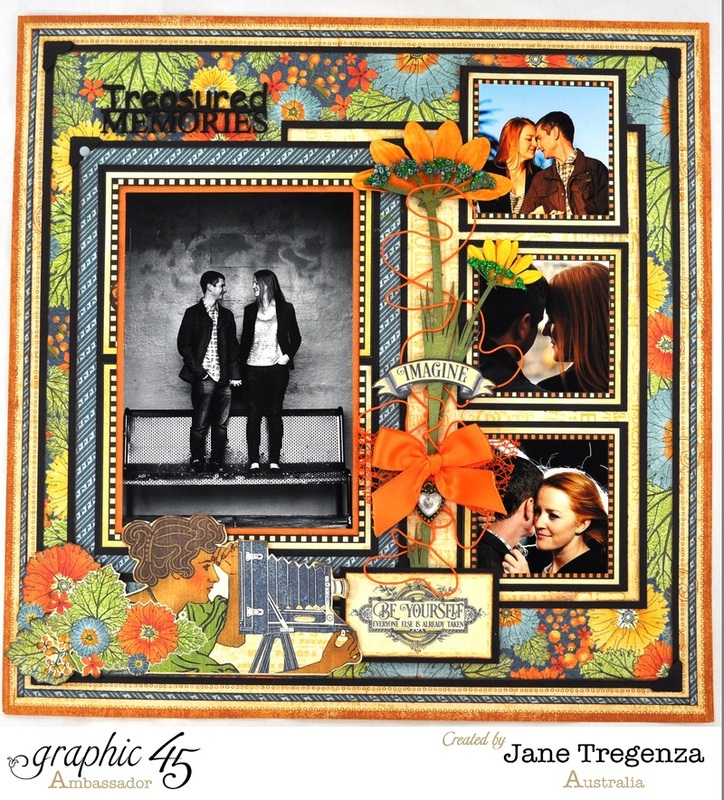 Another one of Janes lovely Graphic 45 Layouts. 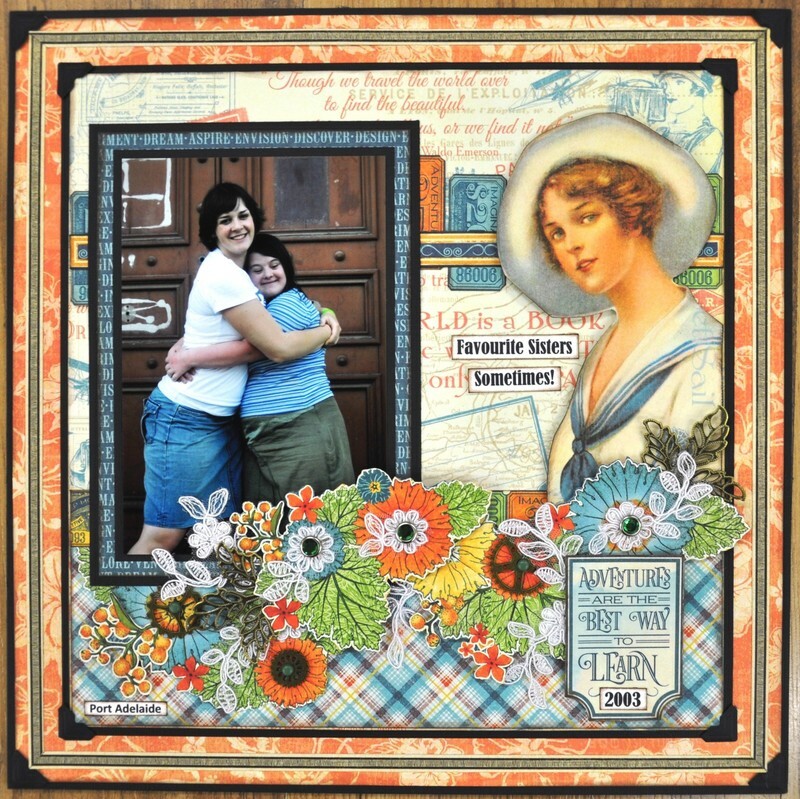 She's used a blend of papers from the bright and beautiful "World's Fair" paper collection. 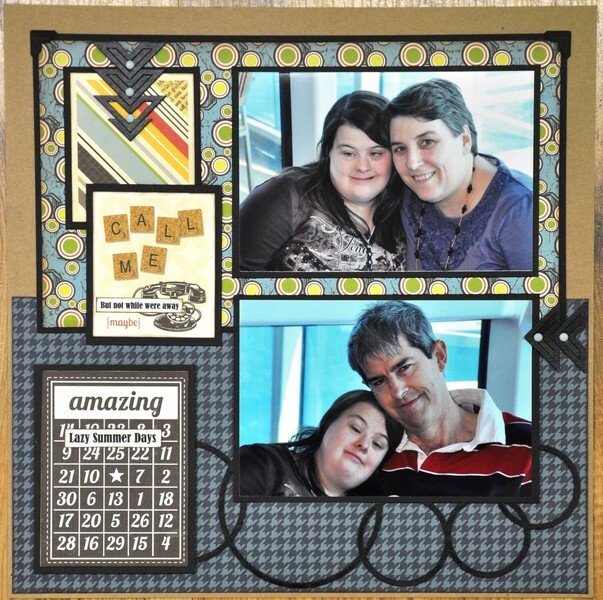 She's also used a fantastic selection of Imaginarium designs chipboard and metal cogs. 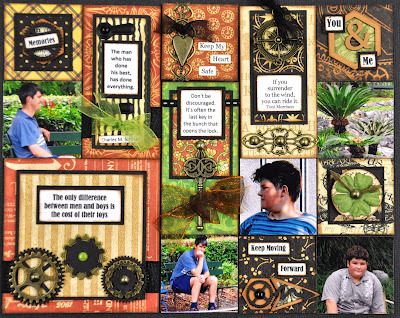 A fun double male layout featuring a mix of papers. 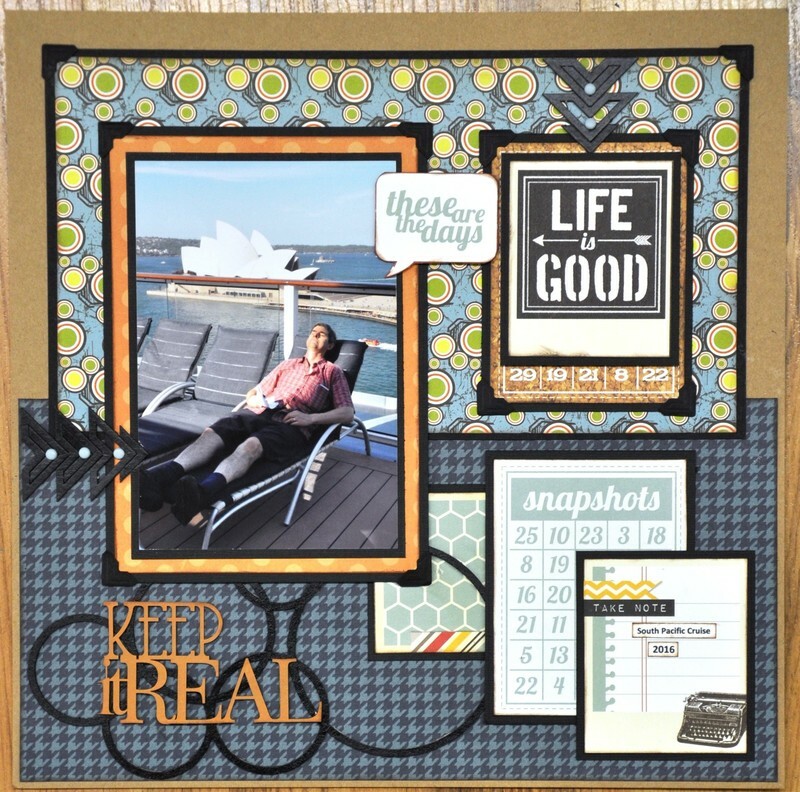 A perfect layout for a cruise, holiday, male photo or travel photos. Towards the end of the month before, sneak peaks of the projects will be posted. If you like the kit, simply pre-order your kit. Usually, limited quantities are available a pre-order is the best way to guarantee supply. The Kits will be available on the 10th of each month for post or pick-up at which time payment will be required (if not already paid). Kits leftover from pre-orders (if any) will be available on the website like a normal kit. No need to sign a contract, so if you don’t like a Kit simply wait for the next month. If you like the sneak peaks then just pre-order. 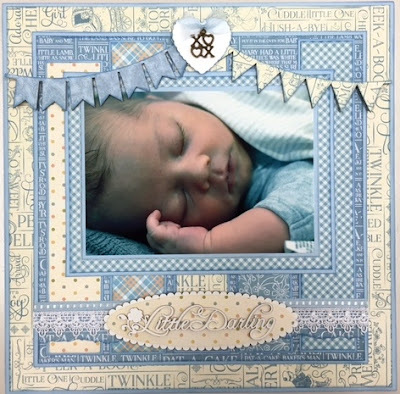 Jane has been making Baby Boy and Baby Girl Layouts for quite a while and has decided to release them as a monthly Collection Album. Each month you can choose if you want a boy or girl option or both. Some layouts will come as doubles and some as singles. 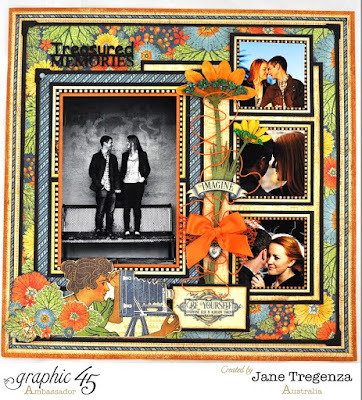 Single kits are $23-$28 depending on chipboard used. Doubles are $25-$35 depending on chipboard used. Towards the end of the month before, sneak peaks of the layouts will be posted. If you like the kit, simply pre-order your kit at a cost of $23-$35. As limited quantities are available a pre-order is the best way to guarantee supply. The Kits will be available on the 10th of each month for post or pick-up at which time payment will be required (if not already paid).Feel free to Preorder for months in advance if you just want to take them all regardless, we'll contact you each time a kit is released for payment. 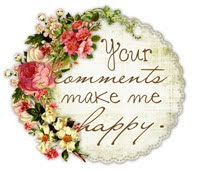 :) $10 Postage will be required each time a delivery is made. 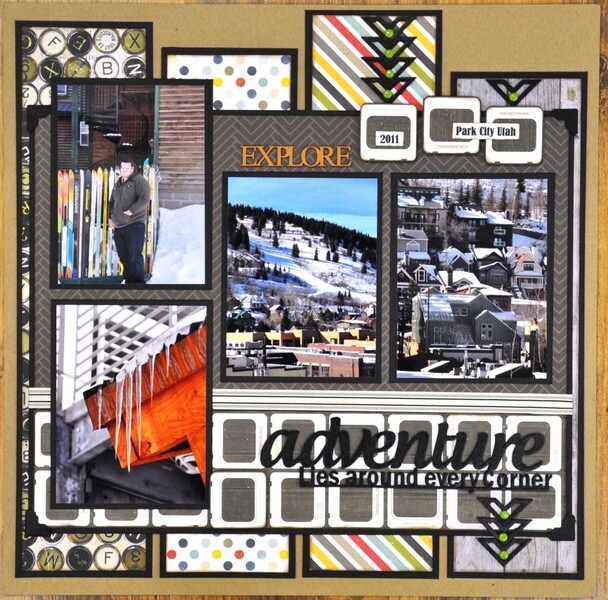 Graphic 45’s Safari Adventure is a lovely collection. The colours are strong and work so well together. I have decided to use this collection for some of my photos from a trip to the zoo with my two very cute nieces. This collection is perfect for any photos you have of a holiday in Africa or a day spent at the Zoo. 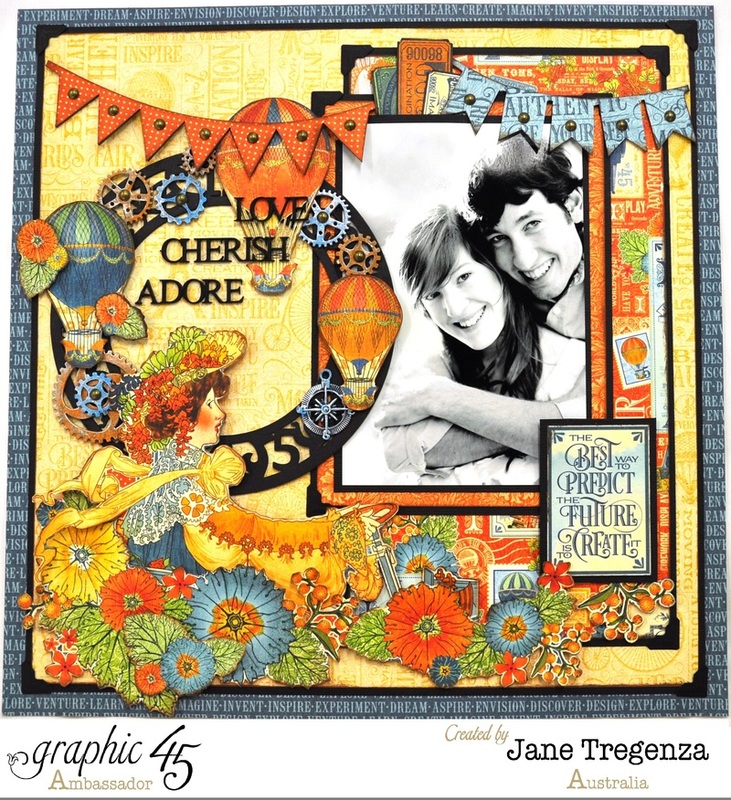 In addition to our existing successful series of high quality and unique scrapbooking kits we are pleased to introduce our monthly Graphic 45 Multi Pocket Collection kits. 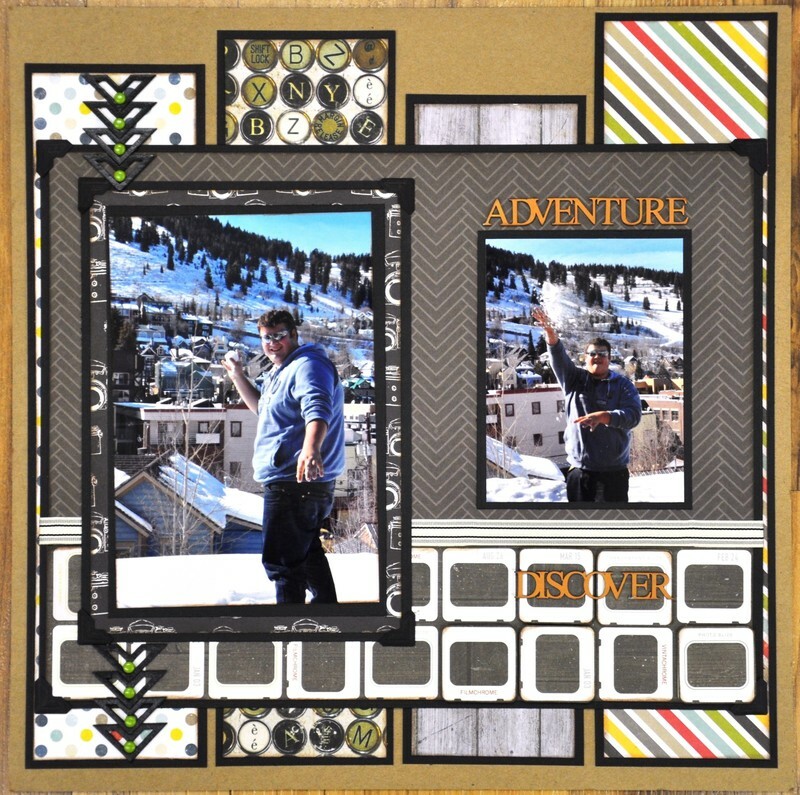 Each month will see a double layout Multi Pocket style. 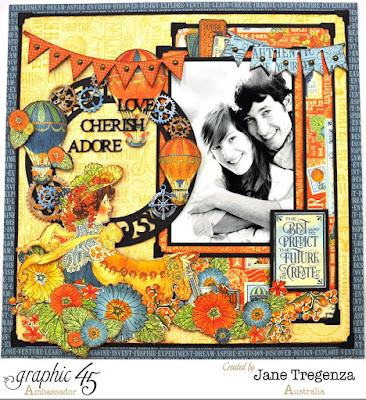 Featuring Graphic 45’s papers put together by Jane Tregenza These kits are for those who just can’t attend our classes or live too far away, but love what Jane does and likes the idea of Multi Pocket pages. 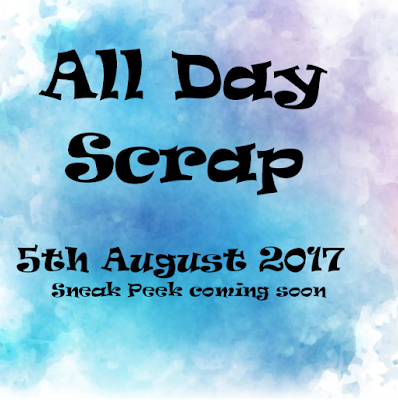 Towards the end of the month sneak peaks of the layouts will be posted. If you like the kit, simply pre-order your kit. As limited quantities are available a pre-order is the best way to guarantee supply. The Kits will be available on the 10th of each month for post or pick-up at which time payment will be required. Feel free to Preorder for months in advance if you just want to take them all regardless, we'll contact you each time a kit is released for payment. :) $10 Postage will be required each time a delivery is made. 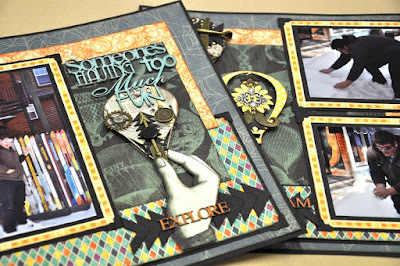 Paper Collections: Cocoa Vanilla, My Minds Eye & Simple Stories. 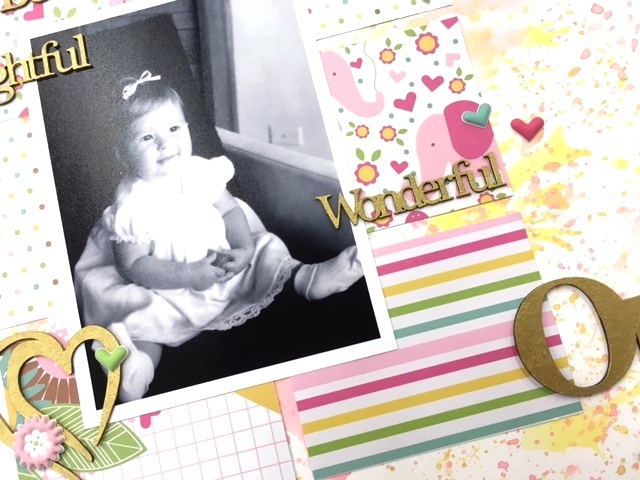 A fantastic new range of Imaginarium Designs Stencils are now available in-store and online. Please phone 08 82771298 for postal orders! Please be advised that Jane's Graphic 45 Layout class & Graphic 45 Project Life have been RESCHEDULED to Friday 30th June. 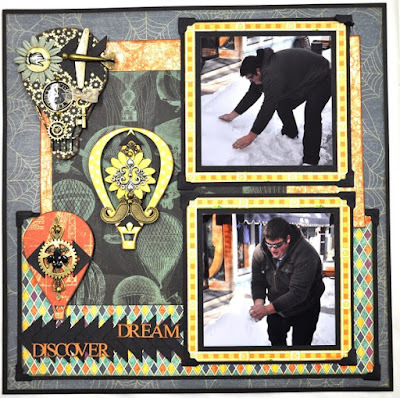 Please bring a basic scrapbooking kit of tools, adhesives etc. to all of our classes. 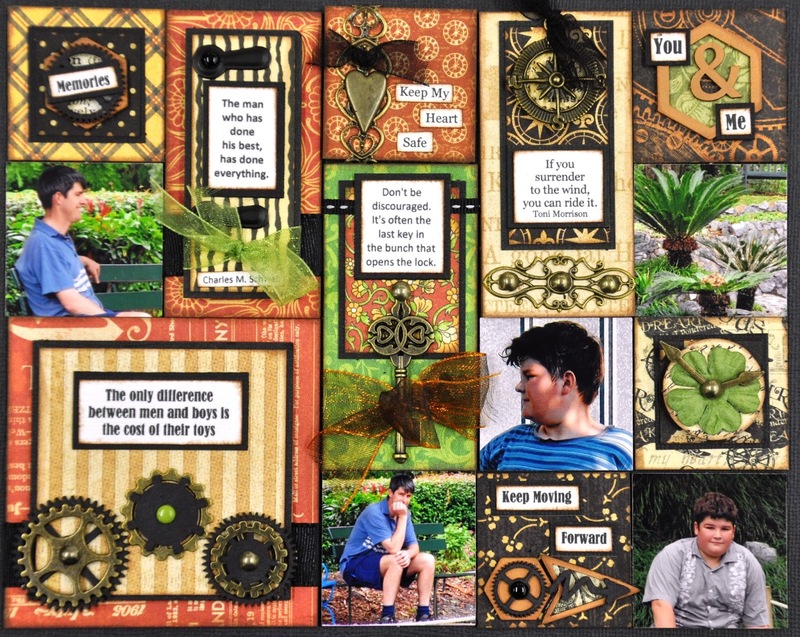 Art journaling is los of fun and a great way of learning some new and exciting techniques. This is Nat's most popular class and is so much fun. You can join in at any time and will need a large Dylusions journal to participate. Nat is a card maker from way back and loves to create cards that are a little more than just paper and ribbon. 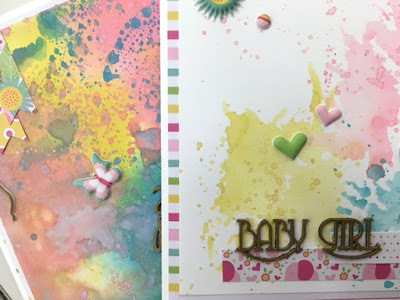 Each month Nat is doing a set of cards using some fun and easy arty mixed media techniques - This class is perfect for card makers, scrappers, project lifers & art journalers. Here is a chance to pick up a few new techniques or develop a few old ones. Copic beginners classes essential. Please bring your own markers. Plus please bring: your daubers and chalk ink pads in the following colours (if you have them) : butter, rogue, chestnut roan, dark brown & olive pastel or 'bamboo leaves' memento ink pad) AND your big shot/Cuttlebug & plates - if you have one. 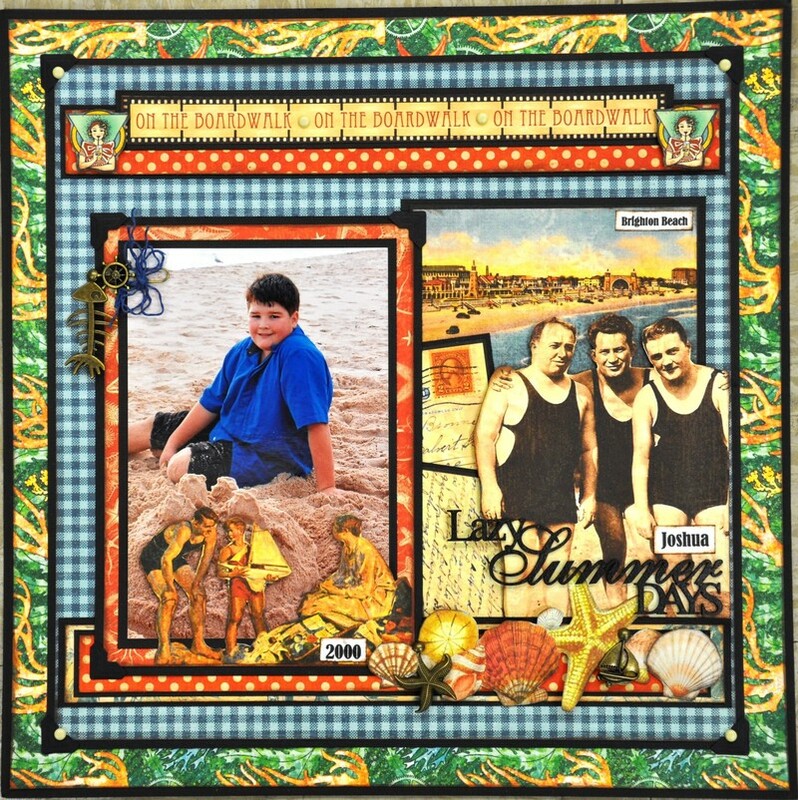 Online bookings are now available on the Seriously Scrapbooking website. Or please call 08 82771298 to book. 3 Layouts 'Touch of Gold"
It has be rescheduled to July and will appear in our next calendar. Please accept our apologies for any disappointment.